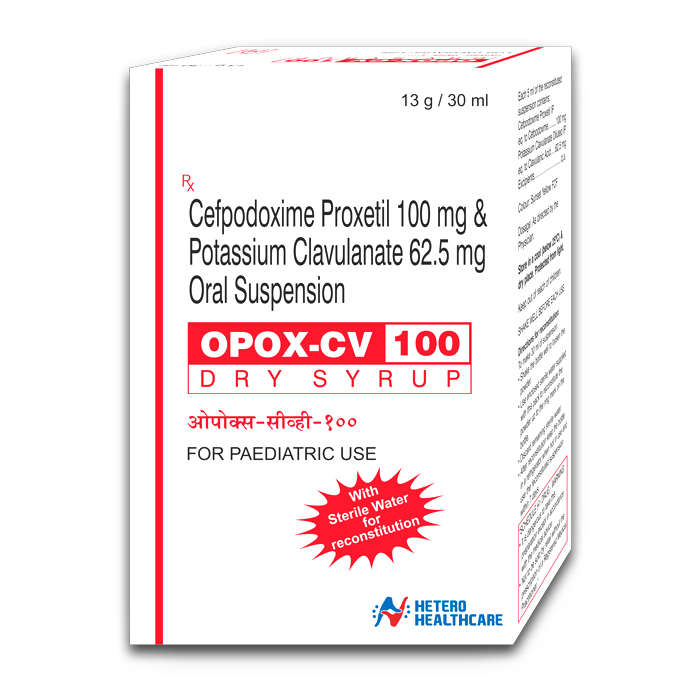 Cefpodoxime Proxetil is orally active prodrug of Cefpodoxime, which belongs to third generation cephalosporin antibiotics. Cefpodoxime is a bacterial cell wall synthesis inhibitor and active against most of the Gram positive and Gram negative aerobes and anaerobes. Clavulanic acid prevents hydrolysis of Cefpodoxime against Beta-lactamase secreting microbes and increases the antibiotic spectrum. This medicine is used in the treatment of an acute worsening of chronic bronchitis, an inflammation of the lining of the bronchial tubules, caused by Streptococcus pneumoniae or Haemophilus influenzae or some Mycoplasma pneumoniae.